We keep Legacy on the website as a reference sire and because he had such a monumental and lasting effect on our herd. His many distinctions earned him numerous accolades. He was the 2002 Futurity Herdsire of the Year and the Reserve Light Herdsire of the Year in both 2005 and 2007. In 2005 he sold for a world record setting price which still stands today. His offspring garnered numerous championships and reserve championships over more than a decade and they are still in demand today. Suffice it to say that his genetics are revered. Our herd and our alpaca business were so very blessed by his presence here at Crescent Moon Ranch. 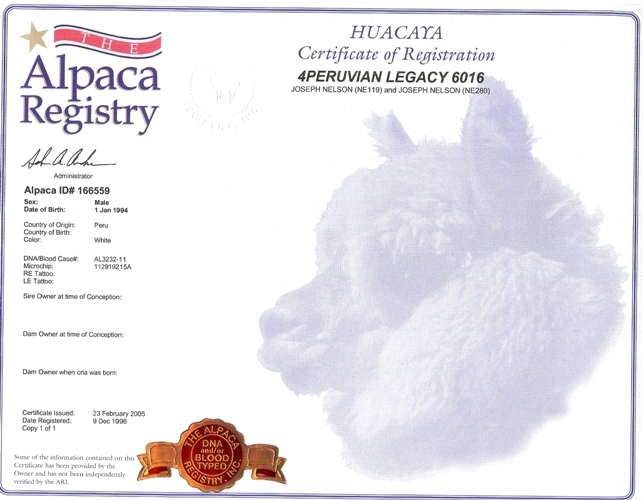 It is safe to say that because his genetics are distributed across the country, the North American alpaca herd is better off as well. 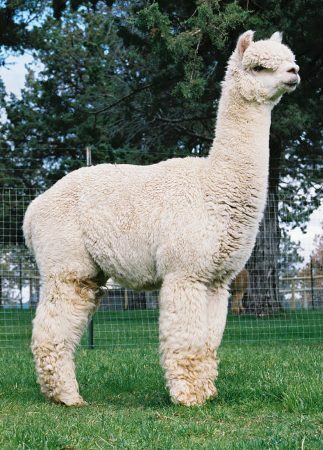 Co-owned with Sharon Brown & Jim Webb, Virginia Alpaca Farm & Breeding Co.